Lamb Weston / Meijer (LW/M), a leading international producer of high quality potato products, is expanding its operations at three locations in the Netherlands to meet growing customer demand. The company will move its head office (Corporate Center) from Kruiningen, Zeeland, to Breda, North Brabant. On the Kruiningen site, it will build a new factory for its Ambient Potato Business. Additionally, LW/M intends to invest in a Technology Center in Bergen op Zoom, North Brabant, where it wants to accelerate its innovation capabilities, and develop and test products and processes. Lamb Weston / Meijer already has a state-of-the-art factory in Bergen op Zoom where it operates a state-of-the-art sustainable production line for frozen potato products. The newest factory in Kruiningen will be capable of producing a range of dehydrated potato products for industrial customers. The total investment amounts to approximately €50 million and includes processing, mixing, packaging and warehousing facilities. The expansion fits within the sustainability ambitions of LW/M to increase overall potato usage. The company expects to start construction in the course of 2019. As a growing organization, LW/M is focused on recruiting and retaining talent. Concentrating various activities at different locations will enable the company to achieve better alignment with the labor market, reinforcing its international position, LW/M explains in a statement. Moreover, the current company locations in Kruiningen and Breda are reaching their space limit. 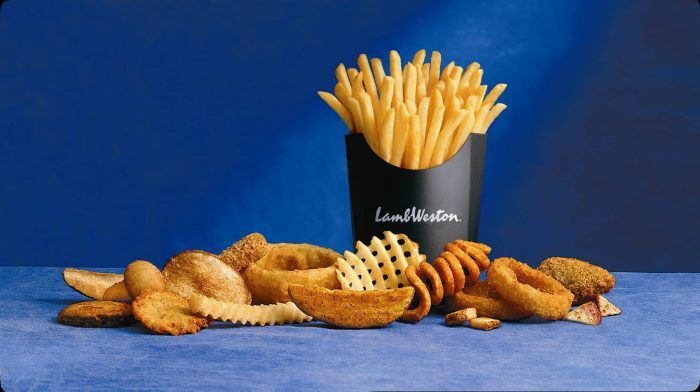 Lamb Weston is a world leading brand in high quality potato products and is sold in over 100 countries around the world. The company Lamb Weston / Meijer serves the EMEA region and is headquartered in the Netherlands. It is part of a thriving Dutch potato ecosystem which includes companies such as Agrico, Agrifirm, Avebe, Case IH Steyr, Dacom, HZPC, Key Technology, McCain, Miedema, Omnivent, Solynta and Tolsma-Grisnich. The Netherlands is one of the world’s leading producers of potato seeds and potato products. Crop yields in the Netherlands are amongst the highest in the world. The Dutch potato sector is typified by the close cooperation between industry, universities, and government where all parties share know-how in the fields of breeding, agronomy, starch chemistry and processing. The close physical proximity of these various stakeholders in a small country like the Netherlands, combined with a multidisciplinary, pro-business mindset, creates a thriving potato platform where all parties in the potato chain can come together to discuss common challenges and to seek solutions.